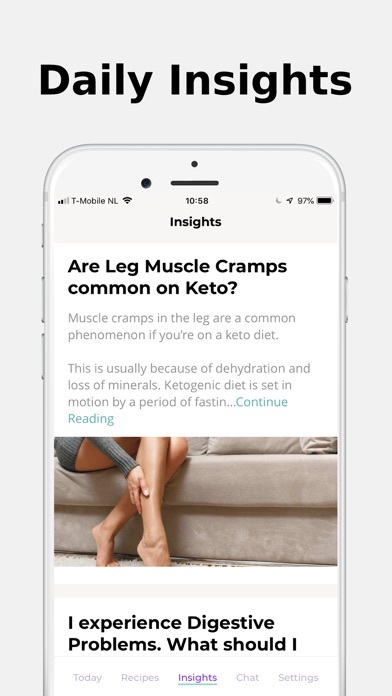 IOS App Developer: FJOR NUTRITION, INC. They force you to pay with sneaky UI and interface buttons, be careful you don’t press the wrong button. Why developers are so sneaky and untrustworthy, Apple should not allow this. I would have payed but now I won’t because of the developers scammers tactics. 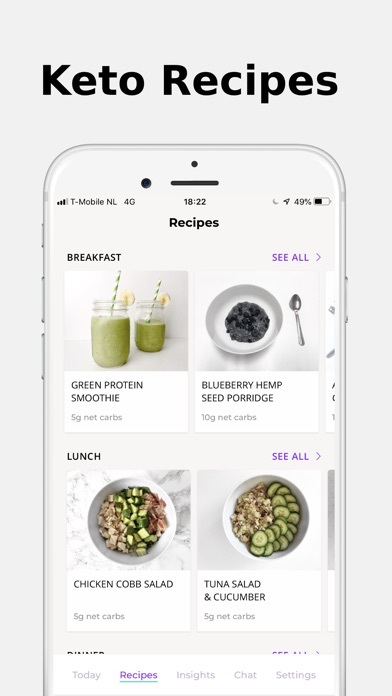 Under the my own tab of the app, it would be nice to actually put the recipe for what we are making and saving it, rather than having to input it line by line every time we want to enter it. Other than that, great app. Refuse to pay for an app that isn’t up front about the cost and won’t give s trial to see if it works for me. Deleted. 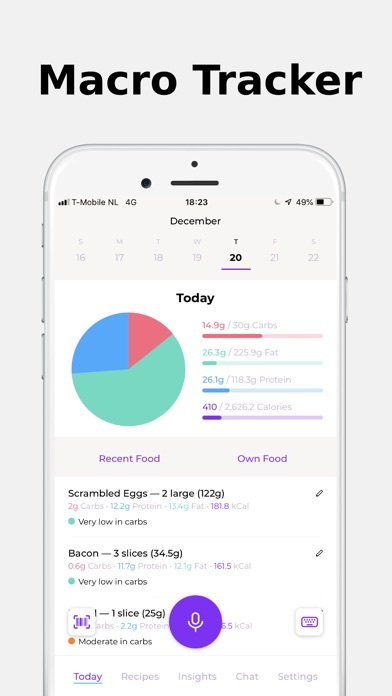 I’m new to the Keto diet and was looking for an app to track my food. This app is user friendly and I love the scan feature. It would be good if you could tell what foods to eat at restaurant before ordering. Otherwise, I live this app! This is so not worth paying for. I regret my purchase. I’m a first time Keto dieter, although a long time dieter. This app is amazing and more than I hoped for. 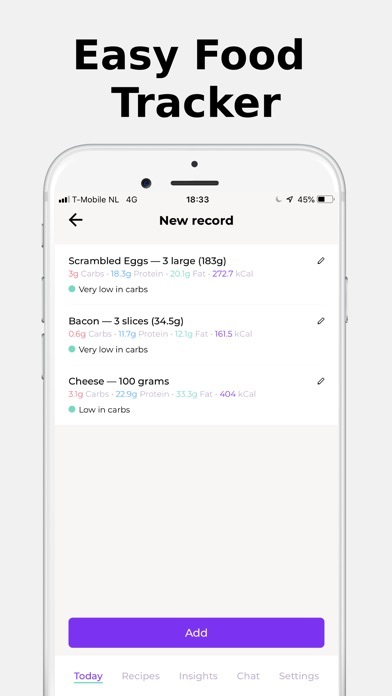 I hate keeping a food log and counting calories, but being new to Keto, I knew I had to. The voice recognition actually makes it fun. It not only gives you specific daily goals, but also lets you toggle to see what your percentages are. I like that it also now lets you log in your weight, although I would like to be able to hide that from the screen. A trick I use to find the nutritional information of my own recipes is to add it to an unused day- then transfer it to my own food list. Maybe that is something the developer can add in the next update. 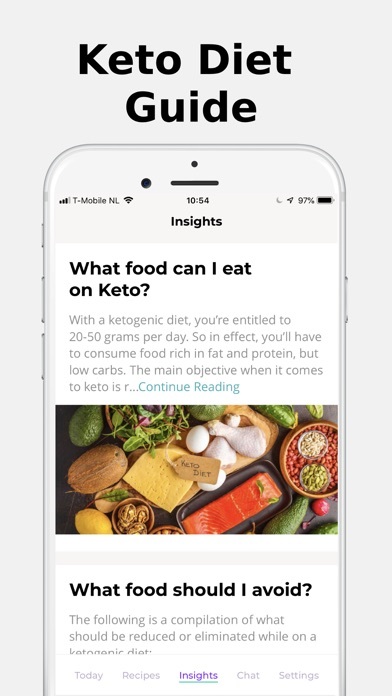 I also found the recipes and insights very helpful to help me navigate my way around getting into and staying in ketosis. I’ve never used that chat, but I’m happy it is offered. It would be 5 stars without those feature, so huge bonus. I downloaded a few Keto apps before paying....this seemed like the best and well with the investment! As title says. Can’t even test-drive this one. 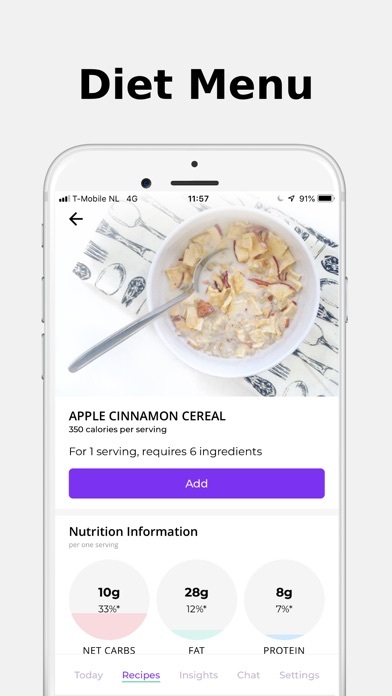 More IOS Apps by FJOR NUTRITION, INC.